The Communist Party of China, at its recent annual gathering in October, conferred on President Xi Jinping the status of the “core” of the Party. The position of “President” is largely titular, and the real power stems from the person holding the position of the General Secretary of the Party. Since the founding of the People’s Republic of China in 1949, there have been seven Presidents and seven General Secretaries but not necessarily the same person. It wasn’t until 1993 that one person typically served in both positions. And of these seven men to hold the title of General Secretary, only four have been designated as the “core” of the party– Mao Zedong, Deng Xiaoping, Jiang Zemin, and now Xi Jinping. President Xi is in powerful company. What does it mean to be the “core” of the Communist Party? In action and responsibility, not much. In stature, a tremendous amount. While it does not confer additional power, it does reflect that the current and historic leadership of the Party is behind President Xi. In order to be granted this position, it requires the support (or at least, no objections) from the powerful Communist party elders including Xi’s two living predecessors, Jiang Zemin and Hu Jintao. Uniting the “old guard” to support Xi and his agenda is no small feat. And its implications should not be underestimated. 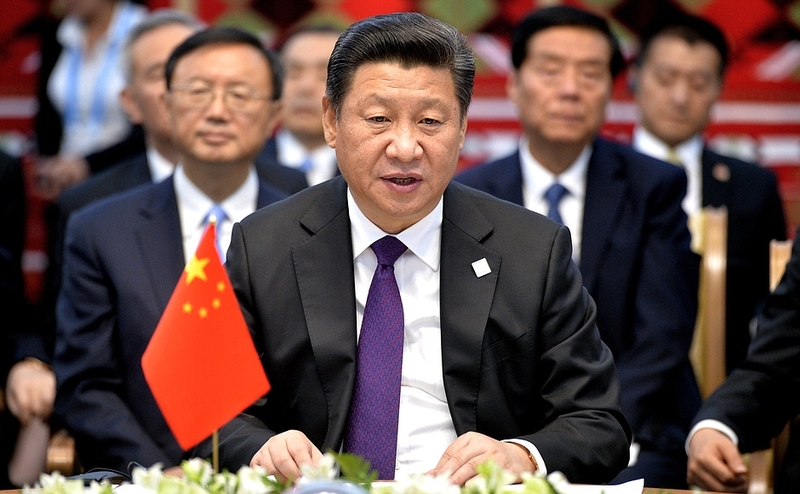 President Xi has emerged as a much-needed builder of consensus. The most meaningful implication of his new status will become evident going into the 19th Party Congress next year. President Xi has united powerful factions behind his grand vision – the China Dream - with the Communist Party being the vehicle to deliver on those aspirations. Looking back at his first four years in office, his clear focus was on cleaning up and rebuilding the Communist Party so that it could provide the vehicle by which to govern the country. He is using the nationwide anti-corruption campaign headed by his long-time friend, the capable Wang Qishan, to sweep out the dishonest officials at all levels, clear out recalcitrant forces that could resist his reform agenda, and intimidate others into good behavior. This new consensus also provides President Xi with greater flexibility in placing his own allies into positions of power, which has already started to happen. His designation as the “core” further validates Xi’s determination to strengthen the role of party as the core of the system, with him as its leader. Not since Mao has the Party been so powerful as the determining factor in all parts of the system – political, economic, military, and social. A recent gathering of international political parties in Chongqing further emphasized this point. A senior Chinese party member stated that economic problems stem from underlying political problems – such as economic and wage disparities -- so the Party must be the one to resolve the political problems in order to overcome the economic challenges. This mindset explains why more emphasis has been placed on rebuilding the Party rather than economic reform in the early stages of Xi’s term in office. Much has been written about President Xi and his consolidation of power. But it is the uniting of the various factions within China’s power structure and the clear blessing of his vision through the bestowing of this designation – The Core – that puts him in a powerful position going into the 19th Party Congress.